Latin Club meets bimonthly to foster interest in the Ancient World, to celebrate Roman holidays and to help the BHS community. We enjoy trivia contests, Halloween costume parties (dress like your favorite Olympian god or goddess!) and we always celebrate Saturnalia. We like to play Scrabble and Boggle in Latin, we visited the Isabella Stewart Gardner Museum in Boston during February vacation and are planning a huge celebration of Rome’s traditional birthday on April 21. We will raise money for Heifer International, our favorite charity, at the NHS Indoor Yard sale. We initiated the Foreign Language Clubs Annual Volleyball Tournament. Not necessary to be a Latin student to be a member! Join today! 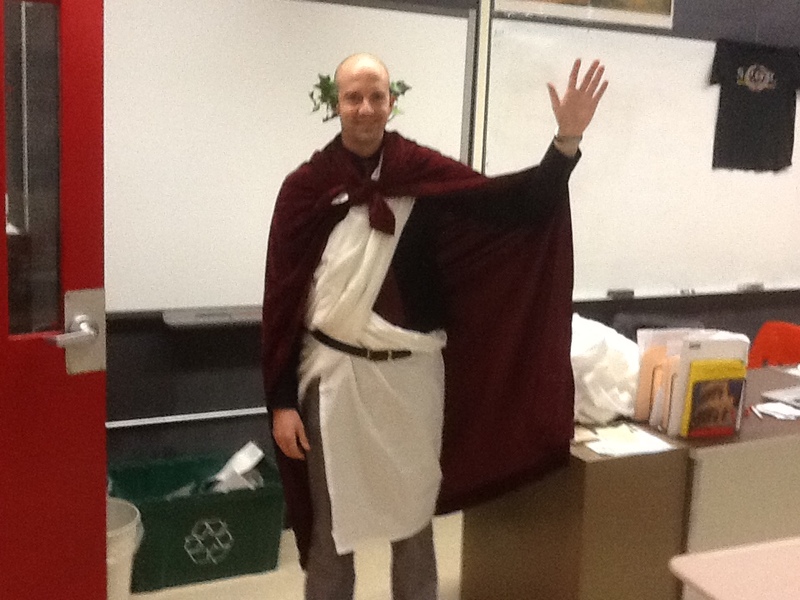 Why take Latin at BHS?